Learn the art of making unique Japanese inspired Kokedama moss balls in this fun and relaxing class. Kokedama has been around for centuries. It's a variety of Bonsai, consisting of petite plants living off a ball of special soil and moss, bound by string. You can hang them, feature them in bowls, let them stand 'naked', or do something more creative! Perfect for beginners and people who like to get closer to nature and get their hands dirty, as well as those looking for something different to do. The Merchant & Green team will make it easy for you to follow along, and you'll be amazed by what you create with your own two hands. 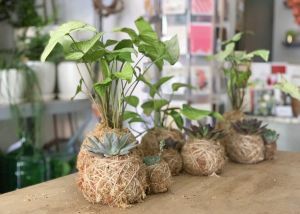 You will make a set of 3 Kokedama moss balls, 2x small, 1x medium! Choosing from a variety of petite succulents and larger seasonal indoor plants. At the end of the class you can take your new moss balls with you, to style in your home. They also make an original gift for someone special.They're easy to take care of, and will bring a nice touch of greenery into any space. Make a beautiful bouquet from fresh Australian inspired wildflowers. There's more to bouquet arranging than meets the eye! Creative director Chris Saban and the team from Merchant & Green will show you how best to select and combine elements, to produce a bouquet that is harmonious and aesthetically pleasing, while allowing you to display your creativity. We will guide you every step of the way during this 1.5 hour class. 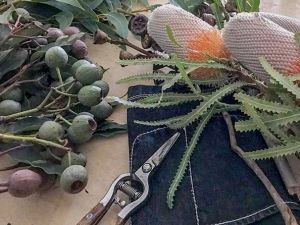 You'll feel at ease, surrounded by plants and flowers, at our Redfern workshop space, and be inspired as you learn about and celebrate the best of Australian flora, in this hands-on and playful class. This is one of the best rated flower arranging workshops in Sydney. You'll walk away with a stunning arrangement (perfect for decorating the home or for gifting), a fond memory, and a fresh perspective on flowers. 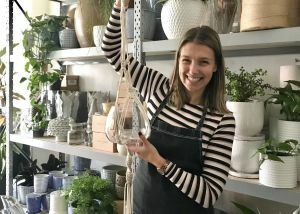 Learn how to make a Merchant & Green DIY closed forest-inspired terrarium (yours to keep), in this fun and easy Sydney workshop. 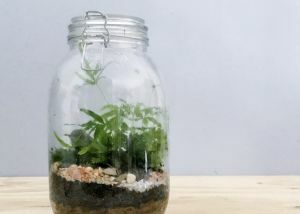 First, you'll expertly fill your vintage jar, approx 25cm high, with layers of river stones, moss and soil, which will serve as the foundation of your healthy enclosed ecosystem. You'll then choose your own lush and leafy forest-style plants, to accompany mini boulders and pebbles to form your very own wild landscape. The pace is relaxed, and you'll get just enough feedback to keep you on track, while having enough space to explore and experiment. You'll get easy-to-follow demonstrations, and you'll be provided with all the premium materials you need to make an impressive terrarium. This terrarium will take minimal effort to maintain, and will keep you smiling for years to come. These classes are have small numbers of 2-4 guests, so your sure to get lots of personal instruction, this workshop is held in our cute little Merchant & Green floral and plant studio. This is a 1.5 hr class, all materials, including rings, natural cotton rope and personal instruction by our teacher are included. You get to take home 2x beautiful, handmade Macrame plant hangers, perfect to decorate your home or to give to someone special for a gift.